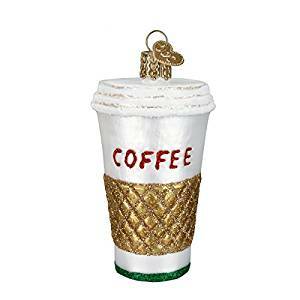 Decorations for Christmas trees that most coffee lovers would be more than happy to add on their personal Christmas tree. This is a generic white to-go cup with a golden coffee sleeve. Of course there are ones with the Starbucks logo also available. This is for the ones who do not prefer to drink Starbucks. 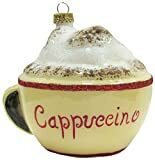 Coffee lovers, this Cappuccino holiday ornament was designed with you in mind! 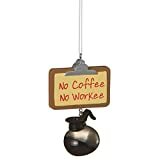 You could also purchase this ornament as a fun holiday gift for any coffee drinker in your life. Can't get enough of that java? 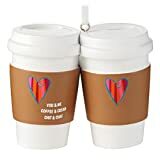 This take-out cup gift ornament is a fitting tribute to a great friend you love to meet for great conversation and good coffee.